As odd as it may seem to already be talking about the 2020 presidential election, it has been a popular topic for many. Among them is White House press secretary Sarah Huckabee Sanders who recently predicted that the U.S. will be “begging” for second President Trump term. 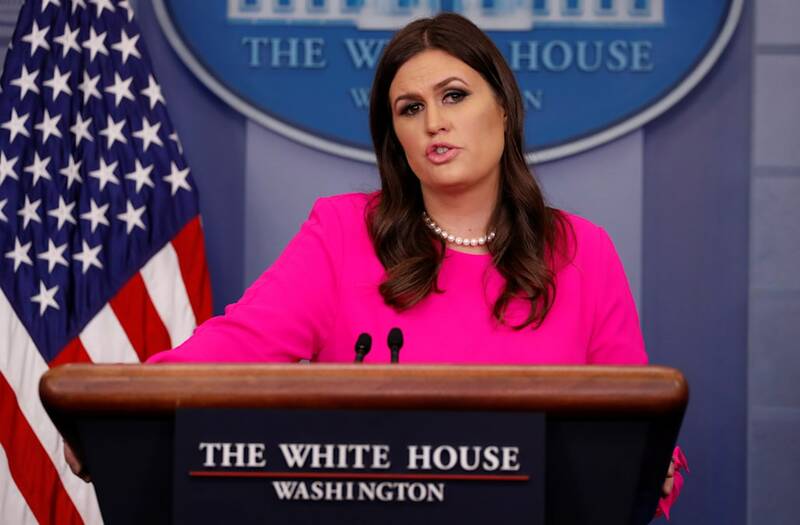 “He’s had an incredibly successful first nine months in office, and I think the next 3½, or 2½, three years, are going to be equally as successful, including getting tax reform done, which is going to be a big deal and make a really big impact on most Americans,” Sanders said of her boss in a Tuesday interview with radio and television host Hugh Hewitt. “And they’re going to be begging for four more years of President Trump,” she further noted. Sanders is not alone in that opinion. About a week prior and in an op-ed published by the Washington Post, Doug Sosnik, a Democratic strategist and former Bill Clinton senior adviser, outlined how easily Trump could win reelection. “More than half of Americans don’t think Donald Trump is fit to serve as president, yet he has a clear path to winning reelection…he could secure a second term simply by maintaining his current level of support with his political base,” Sosnik wrote.